The ArcticShield hand warmers have an elastic pocket entry allowing for a snug fit around your wrists to keep air from coming in. Contains ArcticShield technology, which utilizes a multi-layered heat retention material that captures and returns up to 90% of your body heat. Universal size fits most. 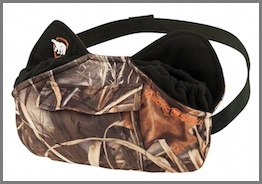 The waist strap measures 48” and allows for adjustability.